Hours of love and intense focus are poured into each painting—resulting in a unique energy that vibrates around them. Bring this bold & colorful creative force to your space by owning a one of kind original. Each canvas piece has been coated with waterproof protective varnish, on gallery wrapped canvas ready to hang. All originals are professionally packaged to ensure safe arrival. Studio visits for free painting pick up can also be arranged if local to Los Angeles area. “The wrapping job was fantastic and kept everything perfect. We absolutely love it on our wall, even more than when we first saw it in Venice Beach! 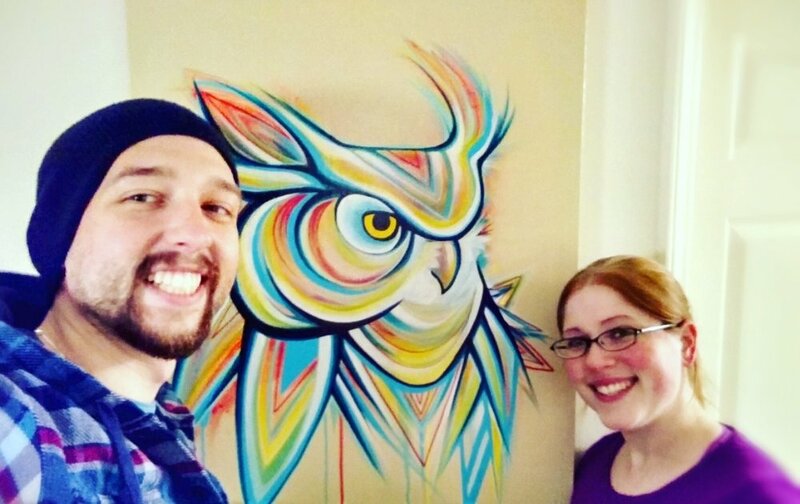 With Carissa's artwork on display, our dining room is now easily our favorite room in the apartment. We love the bright vibrant colors and look forward to any new pieces she creates! "At first I was concerned about it being shipped. It took a journey across the entire country. But, the wrap job was fantastic and it arrived in perfect condition. It surpassed my expectations when I saw it in person. I enjoy looking at it EVERY day. It brings me joy. My husband loves it and quite often comments on how perfect it is where we see it clearly every day. It’s a conversation piece. It is bold and powerful and just gorgeous. I’m thrilled to have the original." "Upon opening the package, tears instantly came to my eyes. The art was as beautiful as when I first laid eyes upon Carissa's work. I would do anything to reassure her that her art is worth continuing to make. Happy hearts and hugs from halfway across the nation."